Birthright took too long for me to read. I am a huge fan of Cate Tiernan. I've read her Sweep series as well as her Immortal Beloved trilogy and loved the first one to bits and really enjoyed the second. However, for both series, the first book(s) weren't that great and now the same is happening to this new trilogy by her. I have a couple of issues with Birthright, the first being how whiny the main protagonist was. She's Haguari, meaning she can turn into a Jaguar. Her family is a descendent of the brazilian Jaguar god and goddess. However Vivi wants nothing to do with her bloodline. This is where much of the book is about; her not accepting her bloodline and the animalistic side of herself. When Vivi's parents are murdered, she moves in with a cousin, she found out about recently, all the way in New Orleans. I loved meeting all the new people that live in her cousin's huge house, all being Haguari, but I really didn't like her every attempt at blocking her heritage or any talk of it. I get her resistance to it, but did it have to take up more than half of the book? By the time she finally starts accepting herself, I've already given up on liking her. Other than that, I felt that the mystery behind the murder of her parents was pushed back a bit too much. I wished the author threw us little pieces of the puzzle here and there but that part of the plot progressed very slowly. However, what Tiernan does well is all the characters she creates for her novels. You just know that it is a book written by her because of how all the friends come together by some culture or heritage (Wicca in Sweep, and magic in Immortal Beloved). I loved reading about the equinox celebration and how the preparations for it went. There is also a love interest that might or might not be Haguari (though those hints weren't that subtle), and I wished we knew more of his backstory because for now he feels flat to me. 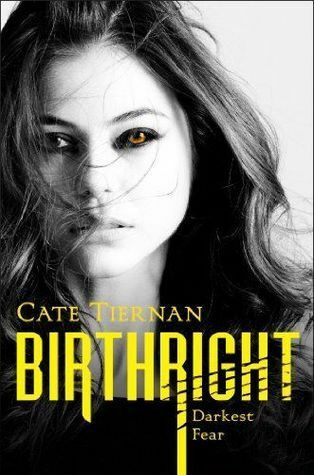 Overall, Birthright was enjoyable but not the reason why I love Cate Tiernan. I do know though that her first books are usually my least liked of the series so the sequel will be much better and I can't wait for it. I'm just about to start this book. It sounds interesting and it's good to know the series will likely pick up after the first book. I haven't read any books by this author and not sure this particular series is for me, but I will check out her other books! Sorry you didn't like the main character too much, but at least some of the others were great. I read the sweep series, but remember nothing really lol But I did enjoy it :) I haven't checked out any of her other books though. Great review! This was my first book Tiernan, and I think I will check her other work. I like this one okay, and I think the next book will be better. Great review.